It is hard to believe that Anna Marie and I are in the middle of our 13th summer at The Queen Victoria. It seems as though with each passing day of this summer we are welcoming back guests that have shared every one of them here with us. I can’t tell you how special that is for us. Thanks so much to all of you for making The Queen Victoria your home in Cape May for all these years! There are a few new things in town this summer that I’ll be telling you about, but Cape May’s timeless essence remains. The beach is somehow bigger and better (I don’t know why or how it is so, but I love it). The dolphins are ever present along those beaches. The restaurants are bustling. The shops are full of interesting merchandise. In short, It Is Summer! Surprisingly, we still have a couple of rooms available for this coming weekend, some of which are 2 night Friday/Saturday openings! This is very unusual, so if you have a spontaneous streak and still haven’t planned your Summer trip to The Queen Victoria, give us a call or click on the link below to put your name on one of them. find the best possible room for the dates you want to visit, or the best dates for the room you want to stay in. Call us at (609) 884-8702 to get started. This is it … our flagship room. No, it isn’t our most expensive room. It isn’t our “fanciest” room, loaded with special amenities. What it is is timeless. With its high ceiling, dramatic crown moldings, beautiful Victorian furniture and clever lace bed canopy, it has all the essential components necessary to capture your imagination and transport you to that special, relaxing, and comfortable place that most of our guests seek in Cape May. The Queen Victoria room also has a king bed (one of only 7 in the inn), a luxuriant, beautifully tiled 2-head/2-person step in shower, and all of the other amenities that you’ve come to expect at The Queen Victoria. It also happens to be on the first floor, which appeals to those of you who would rather not negotiate our “Victorian Stairmaster” stairs to get to your room. You might have guessed that the Queen Victoria room is one of our most popular rooms; one of those that are often reserved a year (or two) in advance, especially for “Big” weekends. If you’re interested in giving the Queen Victoria room a try, give us a call or click on the link below to check availability. This event is by far and away the most popular annual Cape May tradition. Thousands of people flock to the Emlen Physick estate each August to partake of the tremendous lineup of craft beers, crabs, shrimp, and lots of other great food. There is live music all day long to help the beer go down smoothly. Great food, great beer, great music … what more could you ask for on a beautiful day in Cape May? This event runs all day long, so you can still manage to attend, even if you want to get some beach time and/or a bike ride in during the day. I’m of the distinct opinion that there is something irresistible among those offerings for anybody who is interested in Food or Wine. Which one sounds good to you? If you’re looking for a great excuse to visit Cape May during one of the best times of year, look no further! 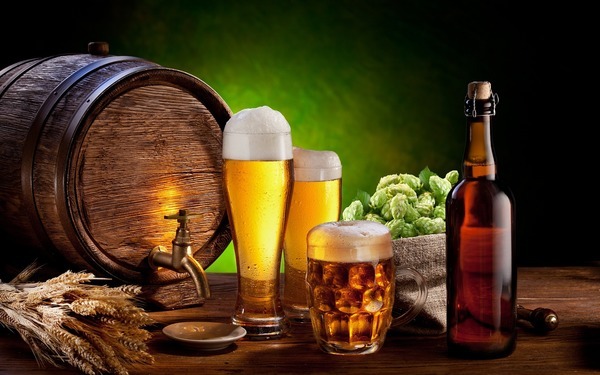 This year the Harvest BrewFest returns to the grounds of the Emlen Physick Estate, which has got to be the coolest place in Cape May to hang out and enjoy an outdoor festival. This is an all day event featuring live music from some very talented local musicians, regional brews, food, seasonal vendors, crafts & collectible vendors and family activities. Patterned after the incredibly popular “Craft Beer & Crab Festival” held in August, this event was a great success last year, and is sure to be even more fun in 2016. Best yet, the festival is within an easy walk of The Queen Victoria. Think of it, a weekend at The Queen Victoria, an afternoon of beer, food and live entertainment. What more could you possible ask for on a September weekend? This is going to be a very popular weekend, and we’re already at least half booked, so don’t delay. It is time to make your reservations! Yes, I’m looking ahead a bit here. The truth is, I’m already VERY excited about the upcoming 2016 Lessons of History lecture. I just couldn’t wait to tell you about it! As you may already know, the Mid Atlantic Center for the Arts & Humanities (MAC) sponsors a “Lessons of History: Distinguished Lecture Series” each Columbus Day weekend, with a reception at The Queen Victoria immediately after. Over the last several years we’ve had some great speakers on topics ranging from the Constitutional Convention to D-Day. History doesn’t have to be ancient to be interesting, and perhaps more importantly, relevant to our lives today. This year’s lecture, “Our Nations Security: How Intelligence Affects the Future”, is being presented by Joan A. Dempsey, who is perhaps the most distinguished speaker we’ve had to date (she is also the first female lecturer!). Joan is currently the Executive Vice President in Booz Allen Hamilton’s defense and intelligence business, where she leads the National Agencies Account. During her 25 year career in the federal government, Joan held political appointments twice: first, in President Bill Clinton’s Administration where she served as the Deputy Director of Central Intelligence for Community Management; and, in President George W. Bush’s Administration, as the Executive Director of the President’s Foreign Intelligence Advisory Board. If you’ve attended and enjoyed the Lessons of History lectures in the past, then I know you won’t want to miss this one. If you’ve never done so in the past, then this is an excellent excuse to plan a trip to Cape May and get the ultimate insider’s perspective on the history of modern U.S. Intelligence. The other day we took delivery of several suites of new furniture, including these VERY comfortable and stylish chairs for the Knightsbridge room. We redecorated Knightsbridge a couple of years ago, but at that time we opted for a beautiful high-backed Victorian sofa for seating. When that sofa met its sad and sudden end a couple of months ago we decided that a nice, comfy set of chairs would be a nice change for the room. If the style of these chairs looks familiar to you, it may be because we have an identical set (with a different upholstery) in the Prince Albert parlor. I don’t get a chance to sit in them very often, but every time I do I’m impressed with their comfort. If you’ll be staying in the Knightsbridge room in the future, I’m sure you’ll agree. Last month I featured a dramatic sunrise which some of you may have realized was taken in the winter. This one is obviously taken in the summer. How can you tell? In the winter the sun rises far to the south, over the water. In the summer, it rises much further north in the sky, over land. More specifically, it is rising here behind (to the north) of the houses and buildings that line beach avenue. This photo was taken by our guest and friend Al Bongiovi, who took it during his June visit to The Queen Victoria. The colors are so vivid in this photo that I couldn’t resist sharing it with you. I know that most of our guests don’t ever rise early enough to catch a summer sunrise, which happened at 5:41 this morning. I don’t blame them! Many of you have enjoyed the Cape May Designer Show House over the years. Quite a few of you have understandably been disappointed that MAC (the Mid Atlantic Center for the Arts & Humanities), who sponsors the Show Houses, has been having trouble finding homeowners interested in donating their homes to be a show house for the summer season. I certainly share that frustration. That is why I’m thrilled to announce that despite the lack of a season long Show House for 2016, MAC has come up with a wonderful new alternative: a one day tour of several beautiful Cape May homes recently renovated by professional designers. On Saturday, September 24, six private homes will be open for a self-guided tour of their warm and intriguing features and exceptional indoor and outdoor living spaces which have been professionally designed by both local and out-of-town interior designers. 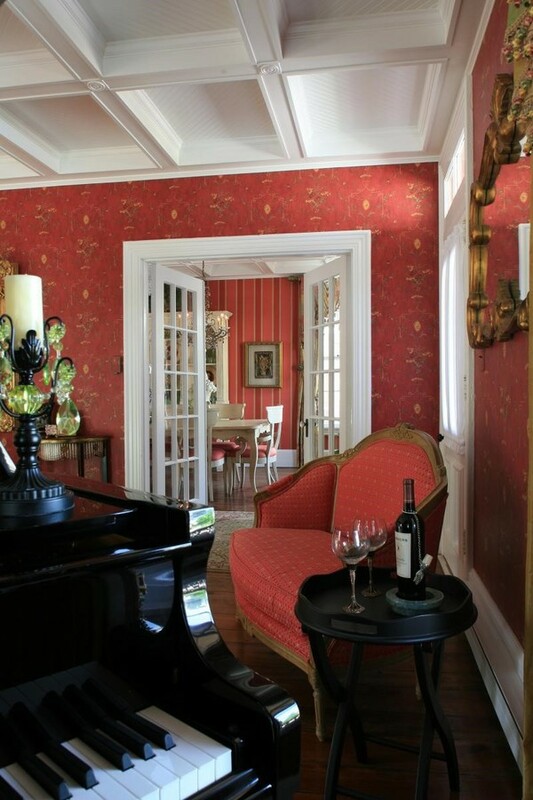 The beautiful room featured in this photo comes to you courtesy of Jan Schmidt, the owner of Dragonfly Interiors in Cape May. Jan has long been a participant in the Cape May Show House projects, designing some of my favorite rooms in those houses. Two homes that Jan has designed are scheduled to be on this tour, so this will be an opportunity for you to see an entire home of her design. If you can’t wait until the tour to see more of her work, visit her website for a sneak preview. You can also contact her at (609) 846-3326 if you’re in search of a designer. Ticket sales are being limited, so buy your tickets soon! Click HERE to purchase your ticket now. The cost of the tour is $30, and it runs between 11:00am and 4:00pm. Rotary Park If you’ve been to Cape May within the last few months, you already know that Rotary Park (at the end of Lafayette Street) is being reconstructed. Though it is controversial for many locals and even guests, the new Rotary Park, which will reopen in a week or two, is a beautiful enhancement to Cape May. True Love Anna Marie happened to wander into our newest store in Cape May last Sunday about 1 hour after they first opened their doors to the public. True Love is a new bridal boutique that features gowns, jewelry, gifts, and more. I’m guessing the ladies will enjoy this store somewhat more than the men. Lucky Bones Beach Grill – Rumors of this new establishment started circulating last summer, but did not become a reality until early June of this year. I had lunch there the other day and thoroughly enjoyed my $5 burger while sitting on the covered deck overlooking the ocean. They keep it simple at the “Grill”, but the quality of the food is what you would expect from Lucky Bones. Iron Pier Craft House – Located above Cabanas, in the space previously occupied by Martini Beach, the 429 Room, and a long time ago, Maureen’s, the Iron Pier Craft House is an innovative restaurant featuring small shares & plates, sushi, craft beers & whiskeys, wine & cocktails. They obviously have the great view that this location has always had. RSK Doughnut Store – If you had asked me what kind of store Cape May really needed, I probably wouldn’t have suggested a doughnut store, but then again, I’m not a retail genius. RSK doughnuts appears to be thriving, offering made to order doughnuts, which you can watch being made. It looks like fun. Open 8-12 daily just across Carpenter street from the Peanut Butter Store (another store I couldn’t have imagined). La Dona Mexican Restaurant – This new restaurant opened up quietly earlier this year in the former location of Geckos. I always loved eating at Geckos in this outdoor, charming location. I’m sure that La Dona will do much better there than the Sushi place did last year. Sweet House – The owner of Louisas recently opened up an old fashioned candy store in the former location of Morrow’s Nut House on the Washington Street Mall. The Sweet House really does have a retro feel to it, and you can still get roasted nuts and contemporary candies as well as hard candies and “gummy” candies. Look for the scale model Ferris Wheel in the window, which appears to be their theme. South of Jackson – This new store opened on the Washington Street Mall this year, offering an unique and interesting assortment of home decor, jewelry, gifts, and more … all pretty different that you’ll find anywhere else in Cape May. Juice Caboose – Though they actually opened their doors late last season, the Juice Caboose is officially in their first full season, serving smoothies, soups & salads. They are located on Washington Street, across the street from City Hall. A tin of Harney’s tea is one of the most popular gift shop items we carry in our gift shop. If you love afternoon tea, either hot in the winter or iced in the summer, then I’ll bet you’ll want to take one home with you on your next visit to The Queen Victoria. Nearly every tea that we serve at afternoon tea is available for sale. Just think, this is an easy way of taking some of that special feeling you get at The Queen Victoria home with you. You’ll be on your own for the baked goodies, of course. It has been quite a while since I’ve suggested a visit to the “Fire Control Tower #23”, more affectionately referred to as the WWII Lookout Tower. As the name (both of them) imply, this tower was built as part of the coastal defense system created during the second world war. Specifically, it was part of an installation called Fort Miles, which was centered in Cape Henlopen, Delaware, but also spanned the Delaware bay with dispositions in Cape May as well. The purpose of the tower was to search for enemy (German) submarines and transmit the firing coordinates to the gun batteries located on either side of the bay. It has a fascinating history that is wonderfully presented to those who visit the tower. The tower is roughly 1/2 the height of the Cape May lighthouse, affording visitors the opportunity to experience the wonderful views surrounding the sunset beach area, without quite so many steps. The price of admission to the tower is $6/person, but it is included for free for members of MAC. My helpful tip of the day to you is to purchase a joint membership (for a couple) for $40 and enjoy the Lookout Tower, the Lighthouse, the Physick Estate, and several trolley tours, which are all free for members. You’ll be contributing to a good cause and saving yourself a lot of money. For your convenience, memberships are available at our front desk. 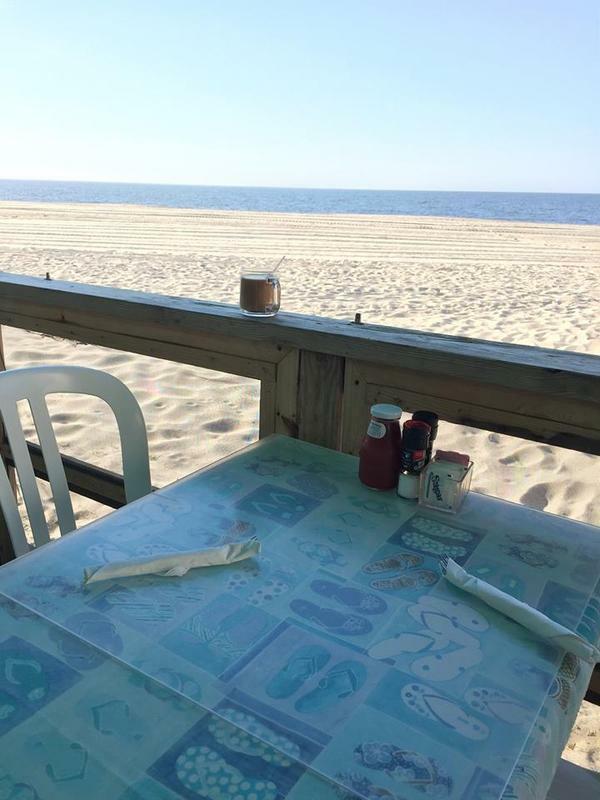 If you can find a more scenic place to dine in Cape May, please tell me where it is. Personally, I don’t think it gets any better than this. Yes, McGlades has an amazing view, but they also have great food. Anna Marie and I went there for dinner last night for the first time this season. It was wonderful. We both ended up having the “Key Largo Grouper”, which was a bit of a departure for me from my usual order of the “Fried Grouper”. I’m not sure which way I’ll go next time. Beyond those favorites, the menu is definitely oriented toward seafood, but there are some other tasty offerings as well. McGlades is probably the most popular place in Cape May to eat breakfast, but I hope you’re not interested in that particular experience. 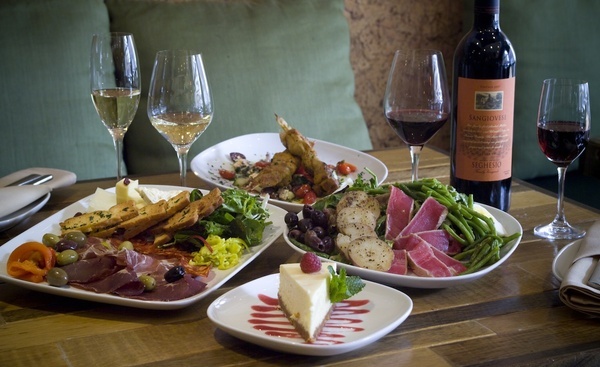 They are also the perfect place to experience a fun, casual and tasty lunch or dinner. In fact, McGlades is always the first suggestion that Anna Marie and I make for arriving guests searching for a fun place to go to lunch and start their Cape May adventure. New this year at McGlades is live music on Sunday evenings. We really enjoyed listening to a duo perform an astounding number of songs as we enjoyed our dinner. The experience was certainly worth the tip we left the performers on the way out of the restaurant. Thankfully, McGlades is a BYOB establishment, allowing us to affordably enjoy a nice bottle of wine with our dinner. Make your reservations today for a romantic getaway at The Queen Victoria Bed and Breakfast. We are looking forward to helping you plan your next visit!